Towooz collective’s JYelloween aka Jihye Park makes a return! 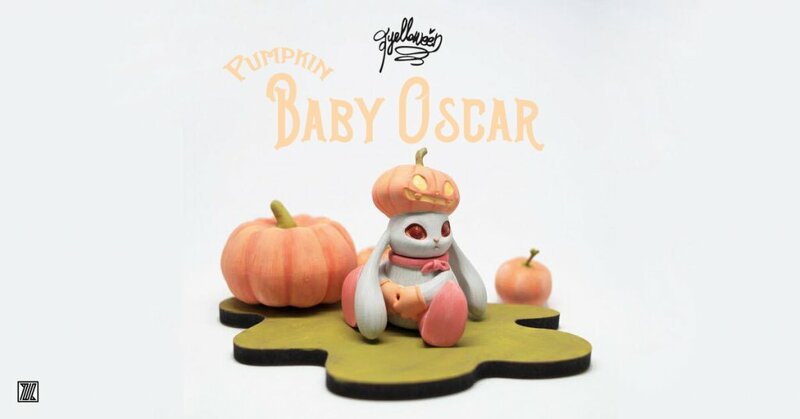 Even though Christmas is around the corner, JYelloween’s Baby Oscar is still having fun with the leftover pumpkins. Why not turn a pumpkin into a hat, Ha. This might be Baby Oscar lovin Halloween more than Christmas, we don’t blame Baby Oscar at all, bless little Oscar. >>Please let JYelloween know your name, address, and PayPal by DM or Email [email protected] Quote The Toy Chronicle sent you. >>The order is completed after 100% payment and no refunds after submitting the order. >> It will ship it in mid or late-January 2018.